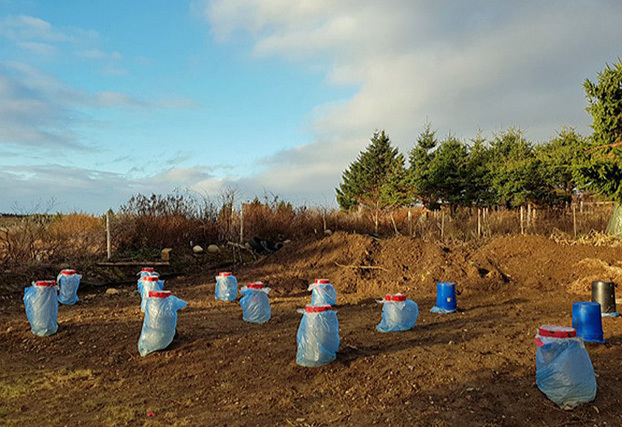 Bigfoot Systems® Footing Forms are the original, code evaluated, engineered footing forms for construction tubes. 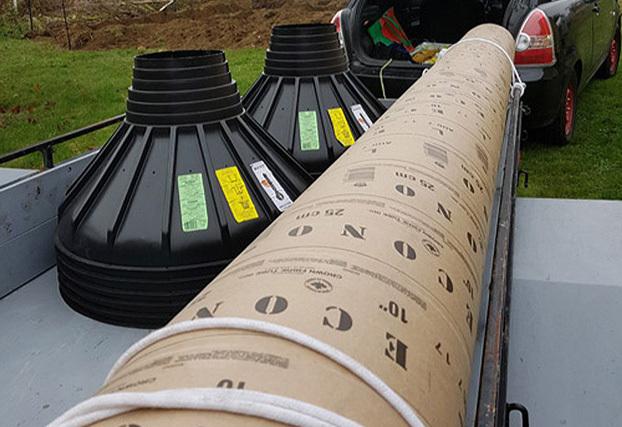 Bigfoot’s bell-shaped footing with a round base evenly distributes the entire load’s weight, solidly securing the footing to the earth. Bigfoot acts as an anchor to prevent uplift in areas subject to high velocity winds. The Bigfoot system reduces labor costs by as much as 90%. And fits all 6”, 8”, 10”, 12”, 14”, 16” and 18” construction tubes. Buy Bigfoot Systems through our certified network of distributors and dealers. Call 1.800.934.0393 toll-free or click Buy Bigfoot in USA or Buy Bigfoot in Canada. Buy the best plastic construction tubes – including our newly launched BFT12. This 12" plastic tube joins the BFT10 in out-performing cardboard tubes & all others! 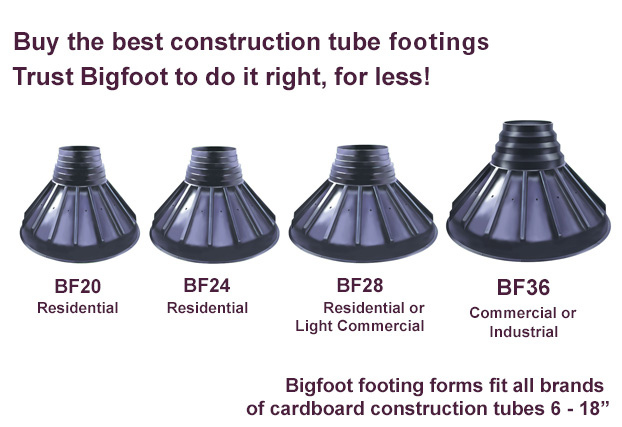 Buy the best construction tube base - trust Bigfoot to do it right, for less! Risk of rain tonight – worked like a charm! 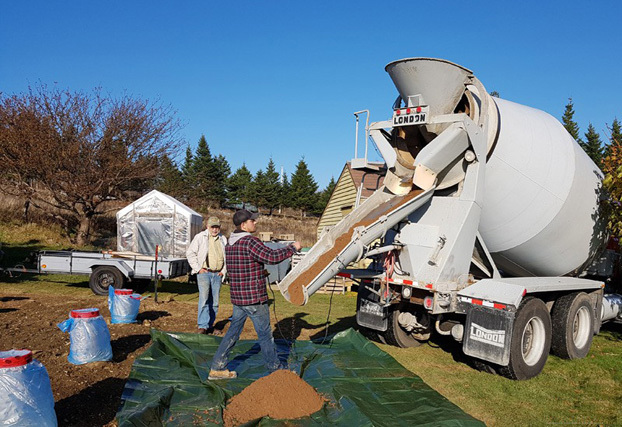 Cement and sand arrive for hand-mixing and pouring. 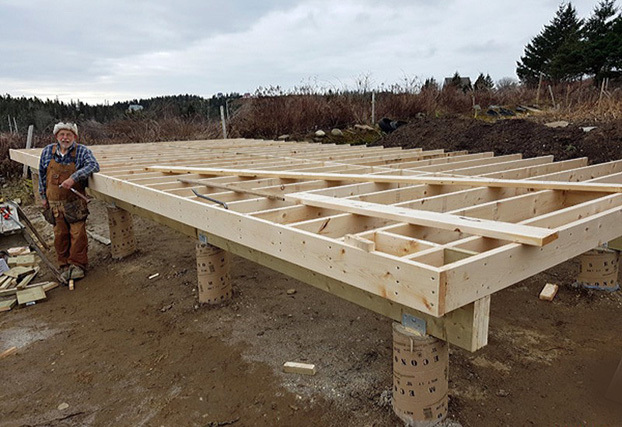 The decking is done – thanks Bigfoot for your help! 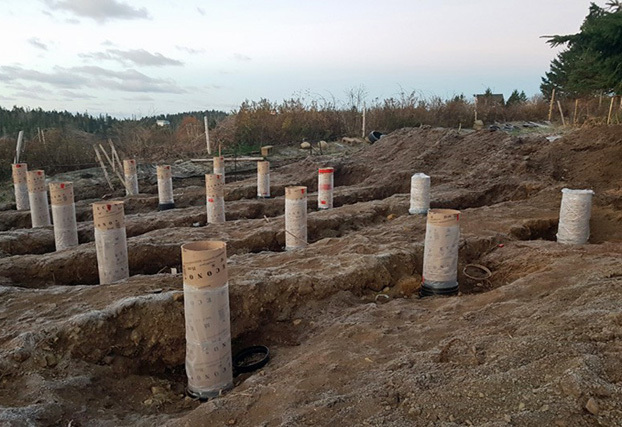 Concrete Constrution Tube Anchor & Footing Forms. 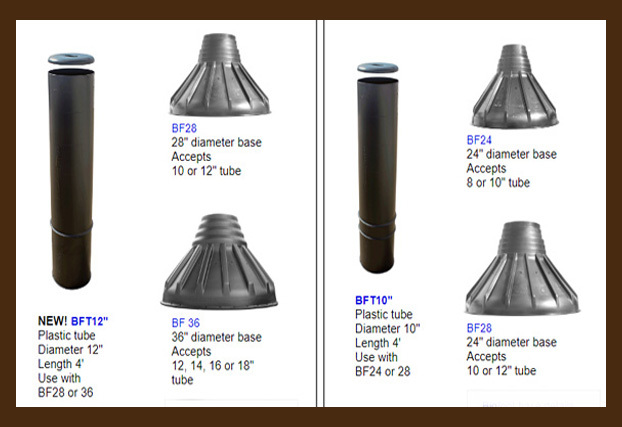 Bigfoot's newest plastic tube (BFT12) delivers a simple, yet dependable way to build footings. 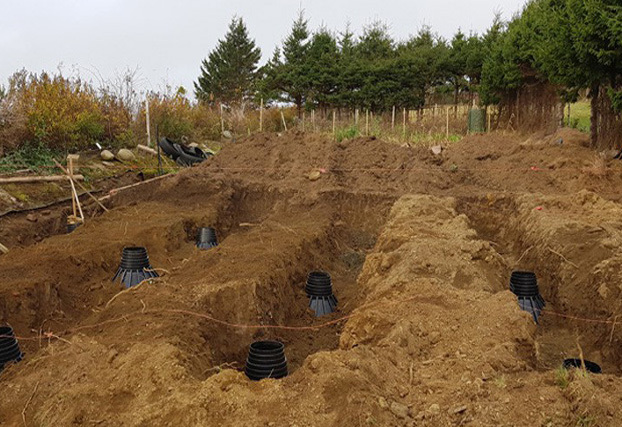 Ground water, wet soil or moisture poses no threat to our Bigfoot tubes.